Oh Yay, I definitely feeling in a cooking mood at the moment. Not necessarily sweet as i used to like, or as I was jumping on everytime I felt bad until recently. Now I do not own an oven , or have a flat with an oven in it, only a microwave, so it cuts down straight away a huge world of cooking possibilities. However, it did not temper my love for food, eating it or making it. So basically today is just a sharing mood and I wanted to share a breakfast cooked by nigella with you. 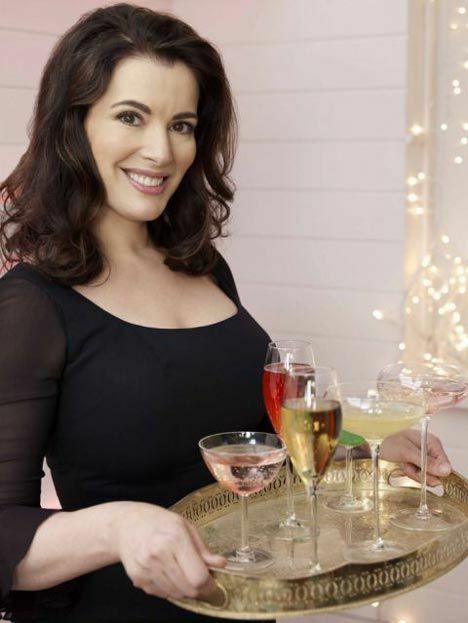 Yes, the splendid, sensual english cook Nigella. I wouldn't eat everything she does, but she certainly fascinates me, she's always a delight to look at, and she appreciates food as much as I do. I am slightly less sensually provocative when I cook though, but hey everything's inthe style isn't it ?